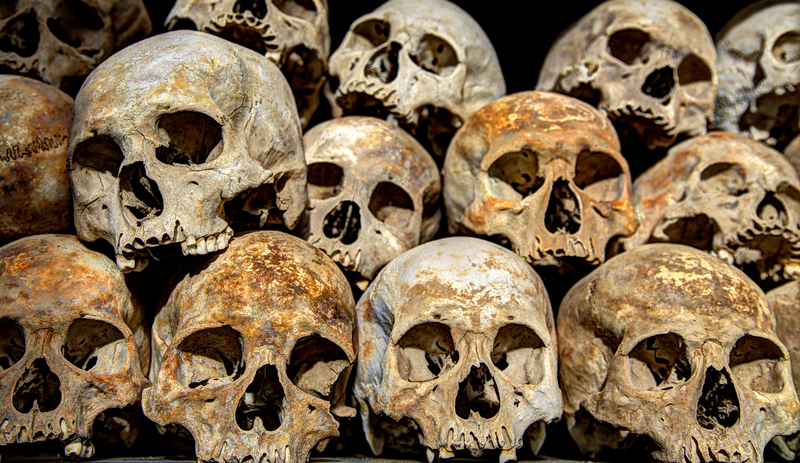 Can there ever be a moral justification for genocide? Can there potentially be – or could there have ever been – a moral justification for the systematic eradication of an entire people and culture? Can it ever be moral, either in practice or principal, to slaughter, en masse, men, women, children and babies? Can there ever be a moral justification for slavery? Is it possible that there could be a moral justification for killing entire families and only saving the little girls so that they can be taken into slavery due to the “utility” of their gender and virginity? These questions are not about practical modern law – they are about fundamental moral principle, and should therefore transcend time and geography. These questions admit of simple YES/NO answers that must apply to all humans at all times (past, present and future) if there is to be any real meaning to the concept of fundamental human morality. To admit of any exceptions is to devalue the entire concept of morality, if only because the mere judgment of something as an exception would be a subjective one. So what is it going to be – yes or no? If you answered yes to any of these questions, then I find no possible way that you could be considered a moral person (to say the least). If you can actually find even a potential or theoretical moral justification for slaughtering babies and enslaving little girls, then I do not believe you have a real idea of what morality even is. But if, on the other hand, you answered NO to these questions, then please know that you have not only proven your morality is not derived from the Judeo-Christian bible, you have proven that it actually contradicts it. And just in case you think that all of this nastiness is behind us, we still, supposedly, have the biggest genocide of all awaiting us in Revelation 9:13-16. In each of these cases we read about an all wise and benevolent deity that not only recommends genocidal acts but gleefully commands then; taking extra care to remind his followers that this must include children and babies as well. From my experience, many Christians hurry to denounce Old Testament brutality by claiming that Jesus had brought forth a new covenant with Yahweh, out of which it seems any inconvenient tribal brutality can be opportunistically dismissed, while the more sensible parts can be retained. I often have to remind my Christian counterparts that this pseudo excuse is easily dismissed in Matthew 5:18-19 where Jesus, in very clear and strong language, instructs that no one should ignore even an iota of Old Testament laws and injunctions. But even if we were to allow Christianity its convenient A’ la carte cherry picking of what to follow and what to dismiss, my initial question, and my initial point, would still stand. It might be said that Yahweh does not wish us to carry out genocides any more, but what cannot be dismissed is that he once did, and that this would correspond to a theoretic justification for genocide and slavery at that time and place. Yet another last ditch defense I have heard many times is the claim that there are many nuances to the bible that we should not hasten to judge – nuances of the time, place and culture in which it was written. This, once again, betrays the supposed morality of the speaker who claims that genocide is nuanced, and that there is potential moral wiggle room for justifying it, as long as it is framed within the right historic and cultural context. After all, how can we be so quick to condemn the wholesale slaughter of babies and the sexual enslavement of little girls before we fully understand the intricacies and spiritual complexities of biblical times, right? I am not trying to erect a straw man argument here. These two religious excuses are by far the most common attempts to square moral biblical circles, and I have had the sobering privilege of debating many people who try to convince themselves and others of this sinister nonsense. It is beyond ironic to claim that human morality is based on a book that is so brimming with genocidal commandments and instructions on slavery, oppression, backward tribalism and brutal public executions. But I must, nevertheless, agree with those who claim that to understand morality one should read the bible. I HAVE read the bible, and I HAVE been to most of the places mentioned in it, and I can safely say that reading about bronze aged tribal Middle Eastern barbarism and wholesale brutality does indeed have the ability to teach people right from wrong – it has the ability to teach you that genocide and human morality are incompatible. And the people who cannot understand this simple point, also seem to be incapable of distinguishing between myth and reality.